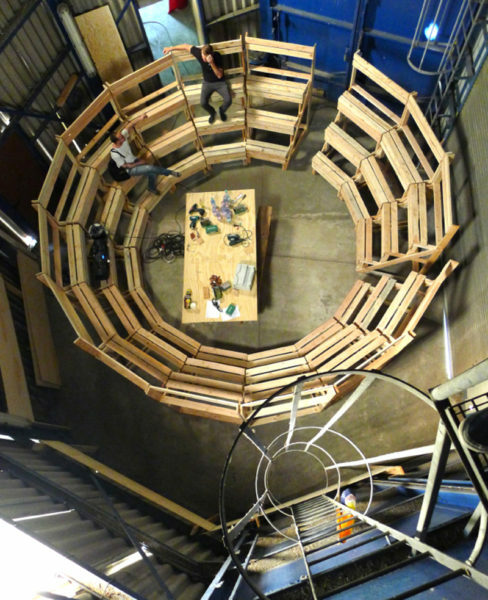 Within the project “the great worlds fair 2012, the world is not fair!“, curated by Raumlabor-Berlin and HAU (Hebbel Theater) at the former Berlin Tempelhof Airport, Constructlab designed a pavilion for the “Institut für Raumexperimente”, studio of Prof. Olafur Eliasson at UdK-Berlin. 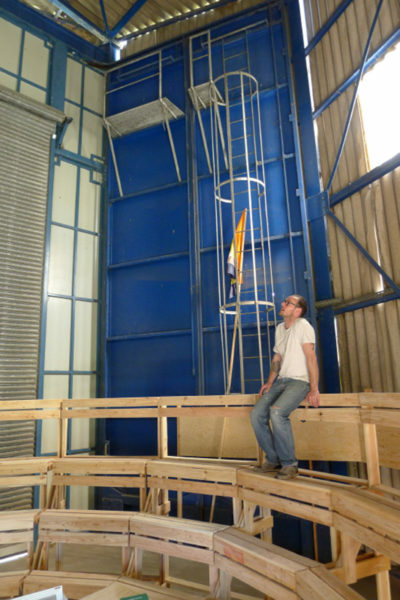 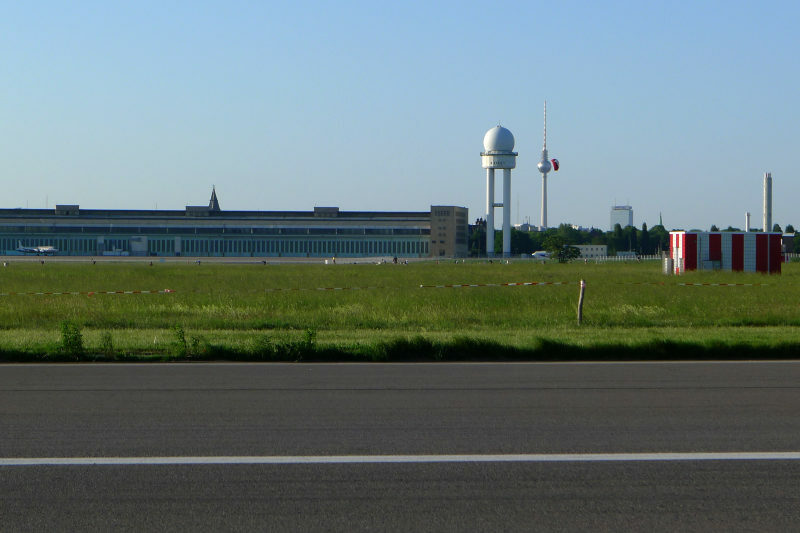 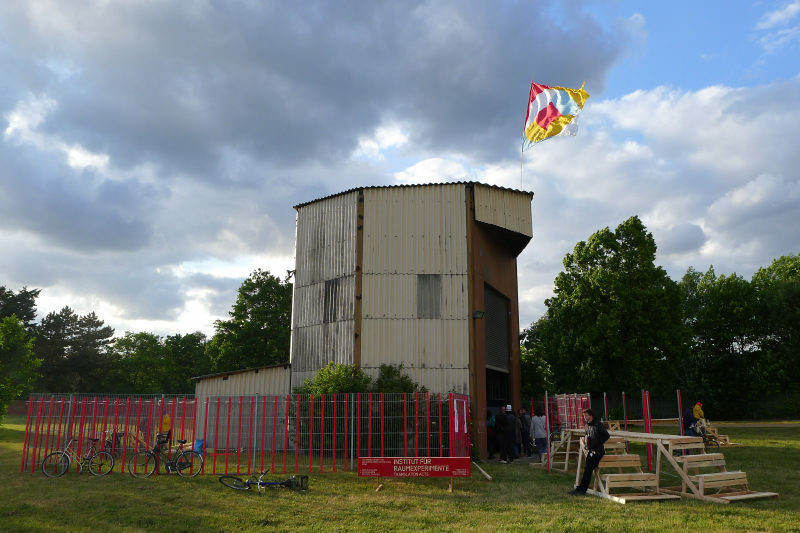 Using existing airport facilities leftovers we remodelled for this purpose the weather-balloon-hall. 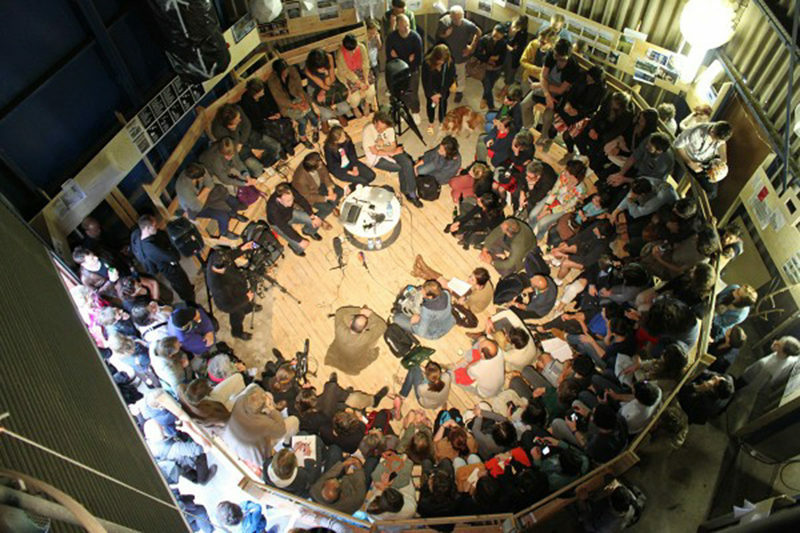 Under the title “Translation Acts”, the “Institut für Raumexperimente” curated a variety of lectures, workshops, performances, and interventions during the entire time-span of the exhibition in the dense, cockfight arena-like presentation space; inside 16 pieces of tribunes forms a closed circle, fitting exactly to the existing hall. 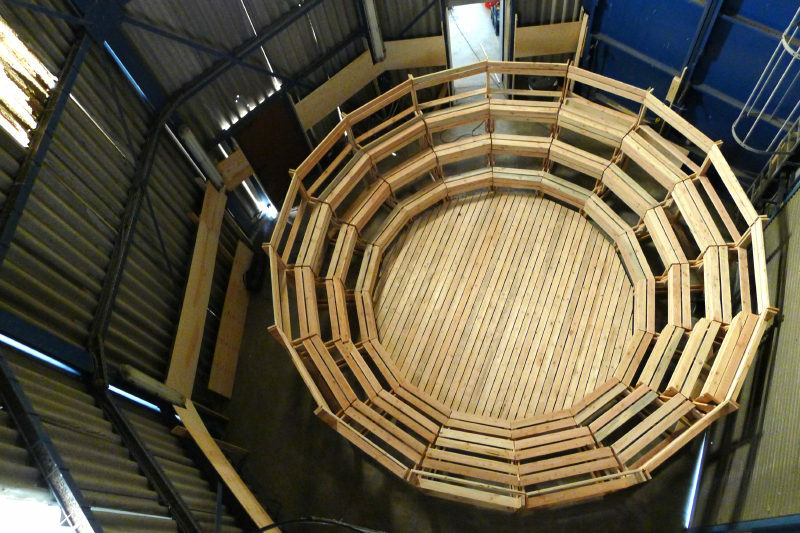 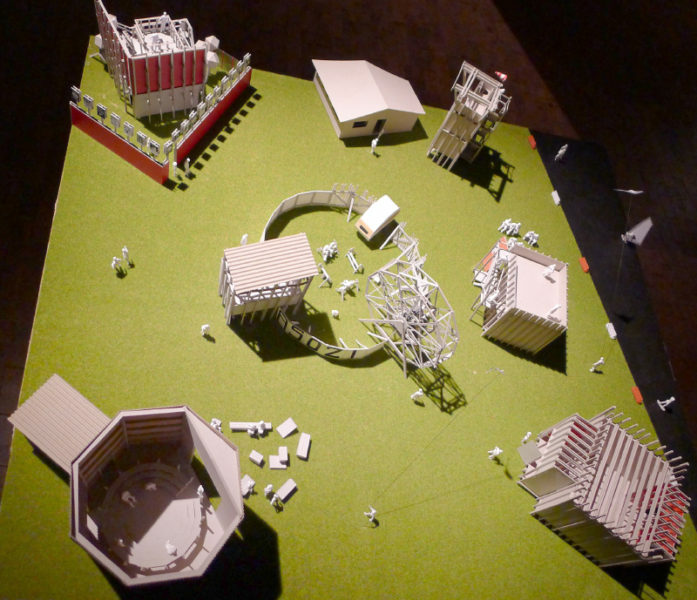 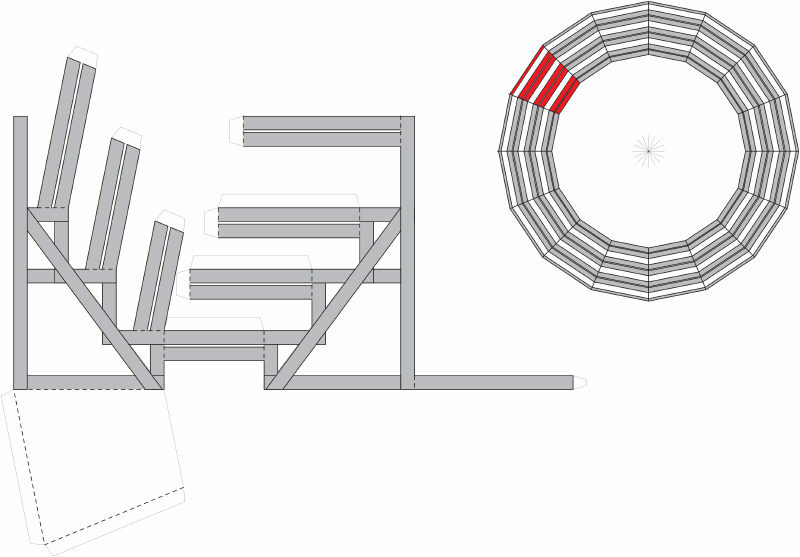 Outside the modules used in a horizontal position form a larger circle and a mobile presentation arena.